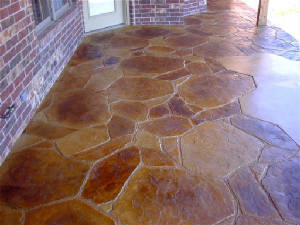 Polymer Overlays on Driveways, Slabs, Patios, etc. Welcome to Concrete Creations. 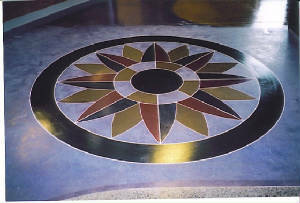 We are a nationally recognized Decorative Stained Concrete contractor located in Tulsa, Oklahoma. We offer Acid Stained Concrete flooring, Polished Concrete, Epoxy Flooring, Stamped Concrete Patterns, Acid Stain Concrete Flooring,Concrete Restoration and Overlays, Concrete Countertops, Patios, driveways, etc. We provide commercial and residential customers across Oklahoma & the region with top quality stamped concrete and acid stained concrete flooring. We have installations in Jenks, Claremore, Broken Arrow, Sand Springs, Sapulpa, Owasso, Pryor, Oklahoma City, Skiatook, Bartlesville and many more cities around the region. Concrete used to be considered the utilitarian product of the building industry: drab and boring, yet strong and supportive. But concrete isn't what it used to be. Technology has allowed concrete to take virtually any color, texture, or shape. The result has been an abundance of choices for interior flooring applications. Decorative concrete floors can take on the appearance of marble or cobblestone; Acid stained concrete countertops are durable and maintenance free; and cast-in-place walls add elegance to custom homes. 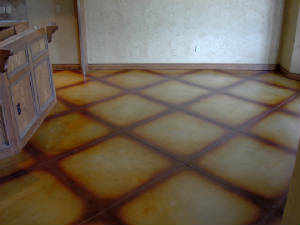 Acid stained concrete floors are the most popular interior applications for decorative concrete. Because of stamped concrete, Epoxy Flooring, Polished Concrete, Concrete Overlays, and Dye Stain, clients can request floors that have a tiled or cut stone look or that give the appearance of limestone, slate, flagstone, marble, granite or even wood. 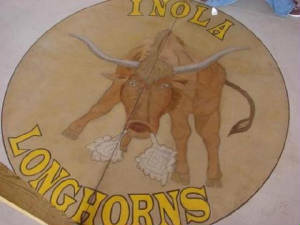 A concrete floor can be stamped with a rubber imprinting tool that contains specific designs to create patterns in the floor, or a contractor can embed items in the floor to add texture. 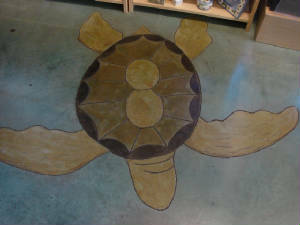 In addition, concrete floors can be acid stained to produce a rustic patina or wood look. 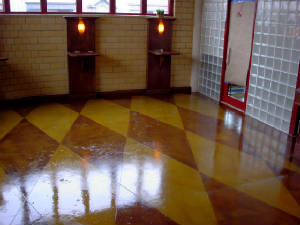 Colored or acid stained concrete floors will not weather or fade over time. The floors keep their appearance and will not need to be re-stained or re-colored to keep the color from fading if properly maintained. These types of floors just need to be re-sealed occasionally, on exterior applications, to lock in the color and highlight all the different color variations and hues. In 1927, architect Gilbert Stanley Underwood and his crew came up with the idea to chemically stain the concrete at the Ahwahnee Hotel in Yosemite National Park. After more than 80 years, the colors are still very evident and show many different hues and color variations. This evidence speaks volumes about the durability of stained concrete. For the most part, Decorative Concrete floors, especially acid stained concrete floors, costs less than hardwood, marble, slate and most all of the natural stones. Installed correctly, acid stained concrete, stamped concrete and concrete countertops add beauty and elegance to any environment as well as increased property value. Decorative concrete is a great flooring to have inside your home if you or your loved ones have allergy problems. Click here to view a list of some of Concrete Creations' current or recent stamped concrete, acid stained concrete and concrete countertop projects. View pictures of Concrete Creations working the Mega Demo at the World of Concrete in Las Vegas, Nevada. What is Concrete Acid Stain? 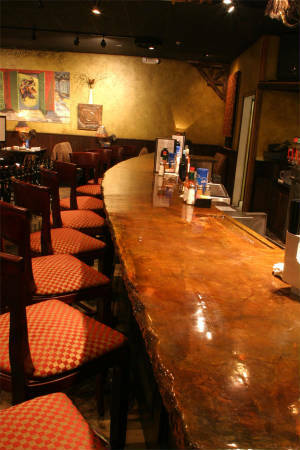 Decorative Concrete has unlimited possibilities!